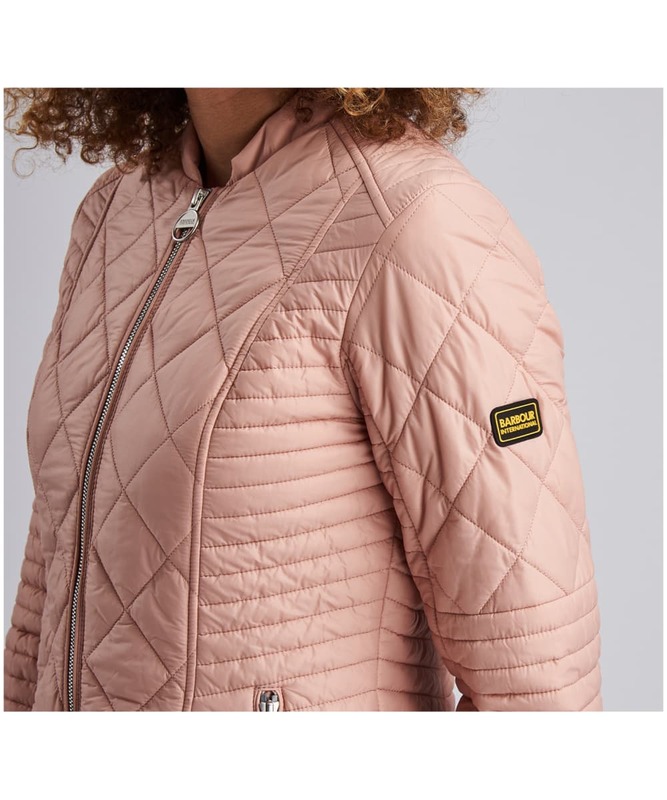 Iconic and timeless, the Women's Barbour International Sprinter Quilted Jacket has been designed to a biker style, reflecting the brands heritage for a high quality, premium feel that you are sure to love. 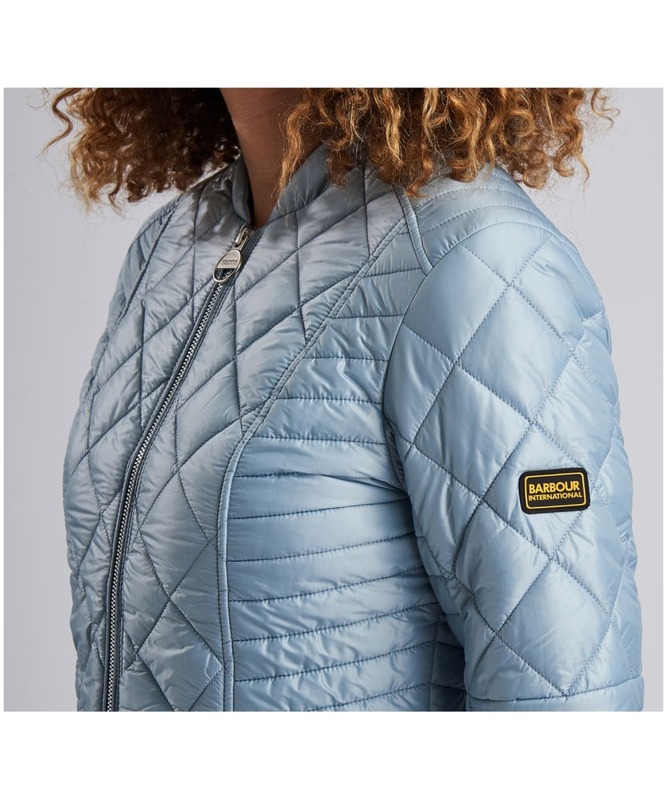 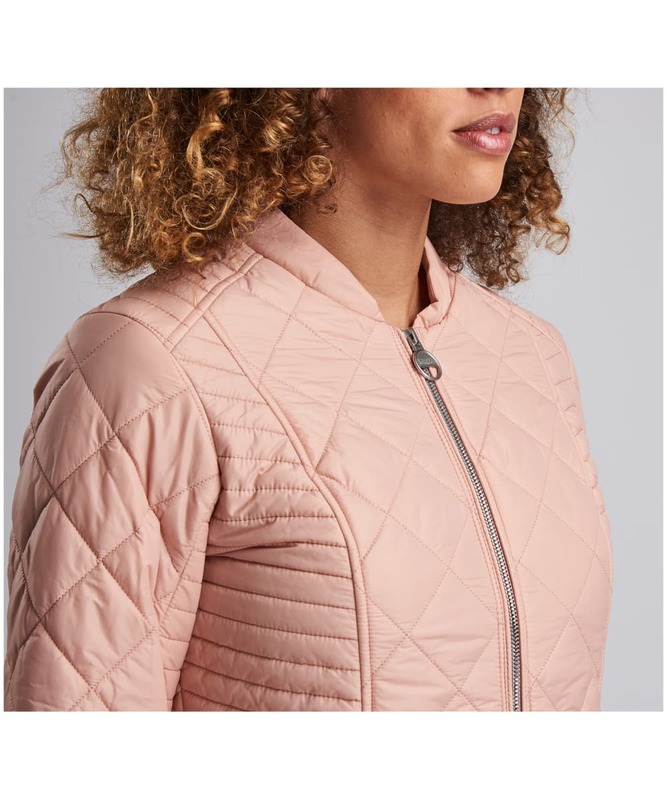 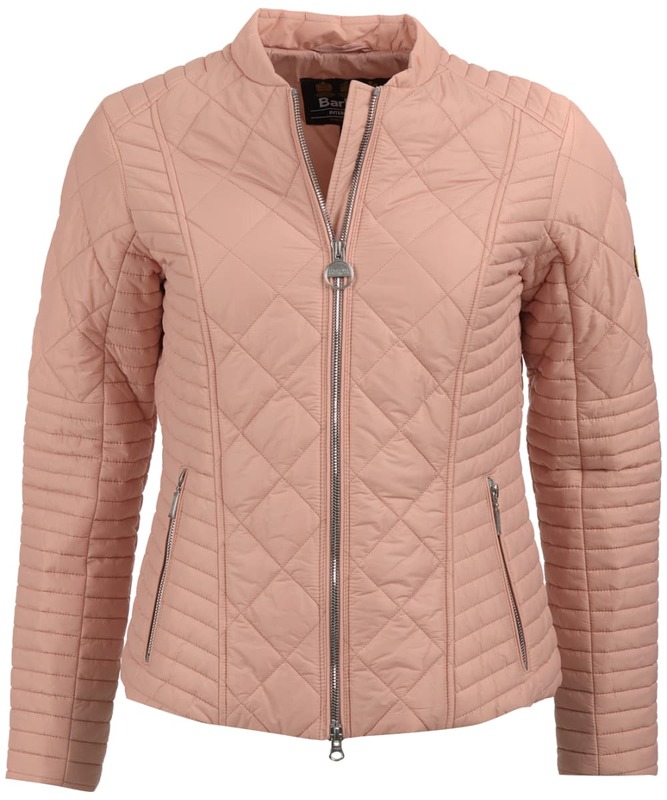 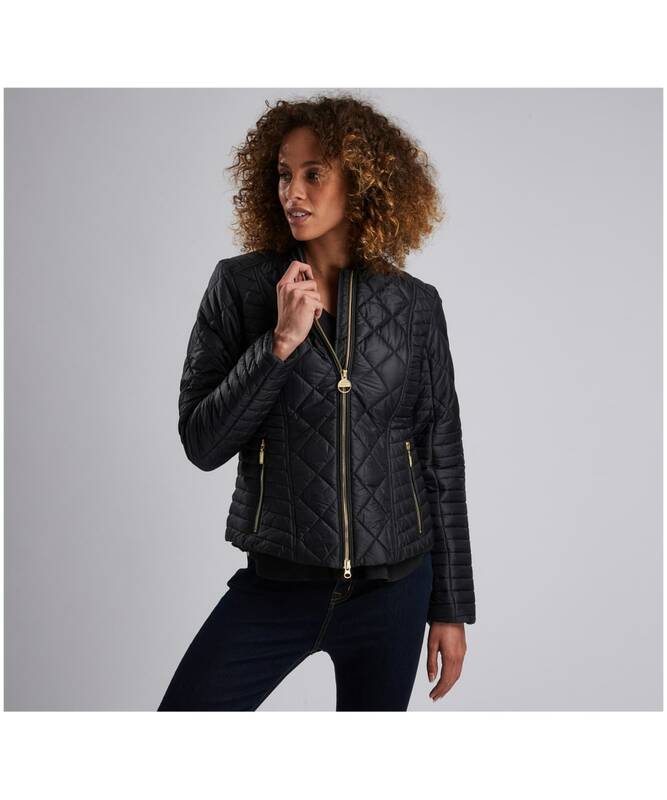 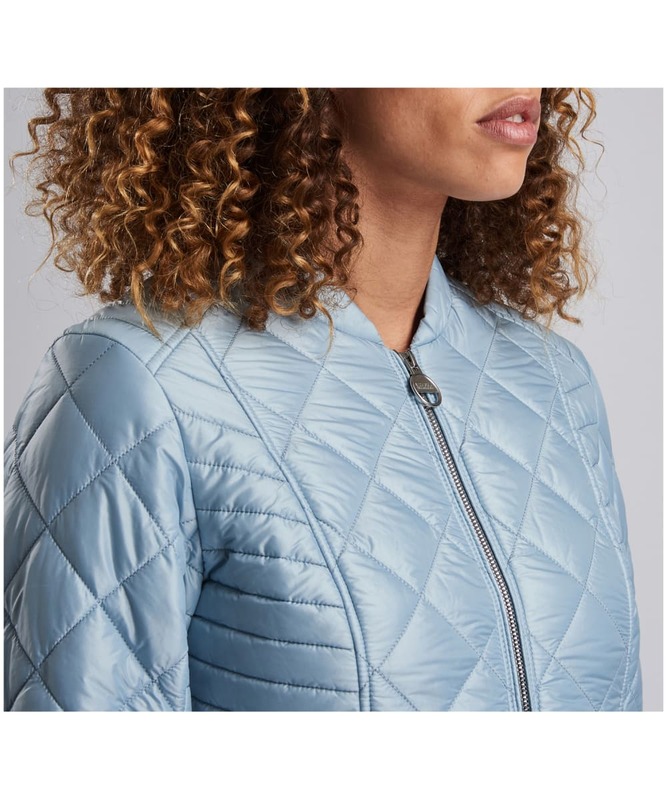 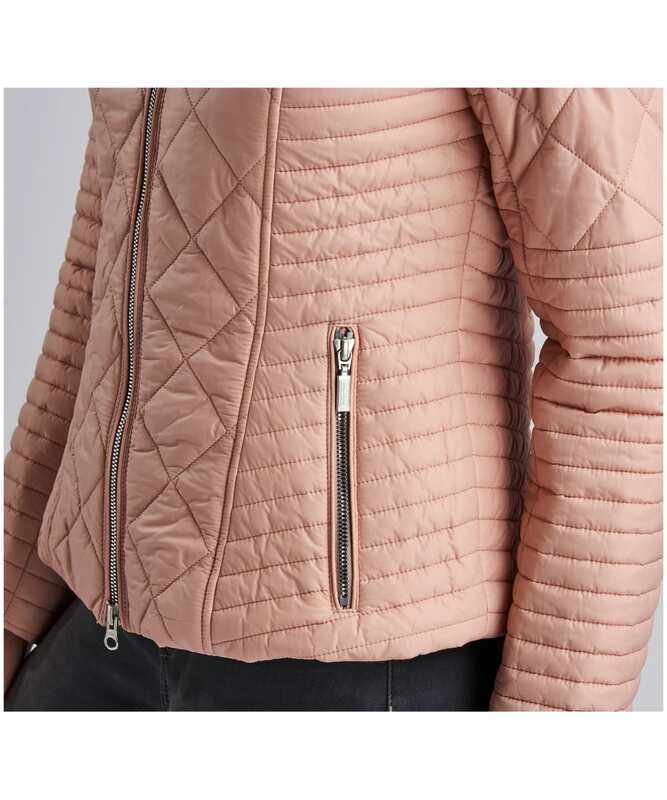 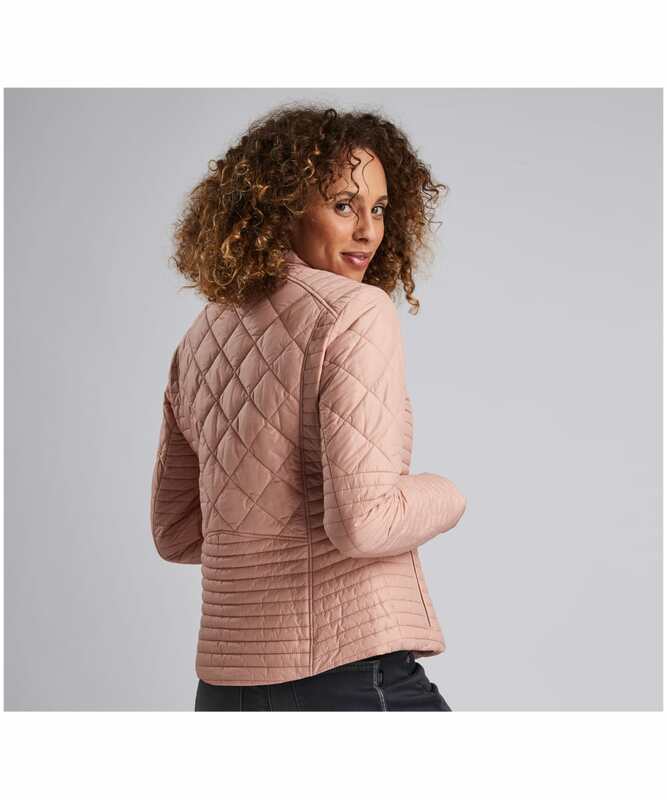 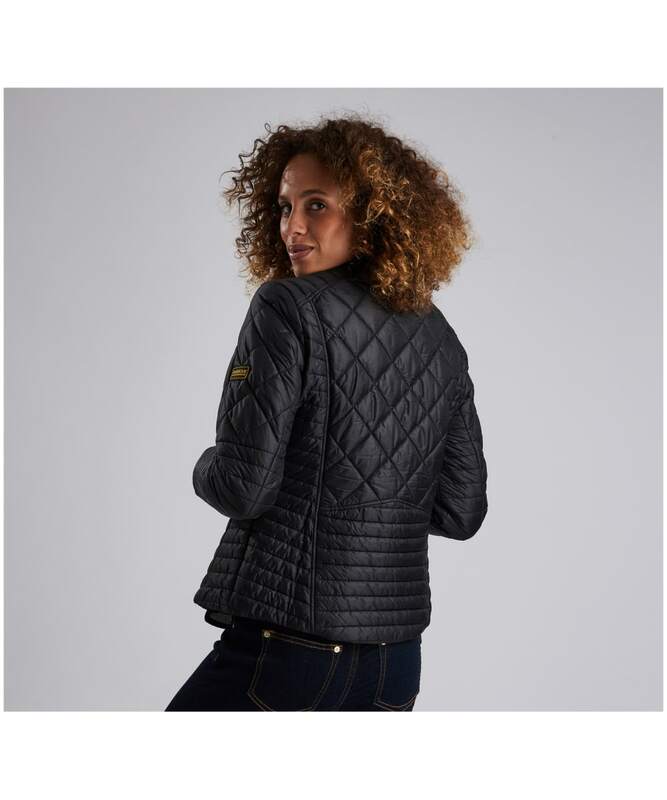 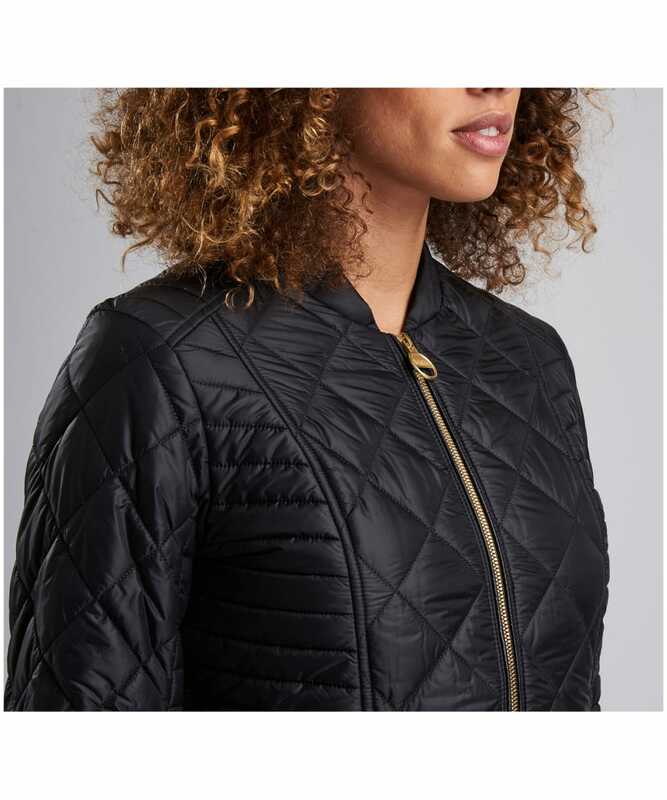 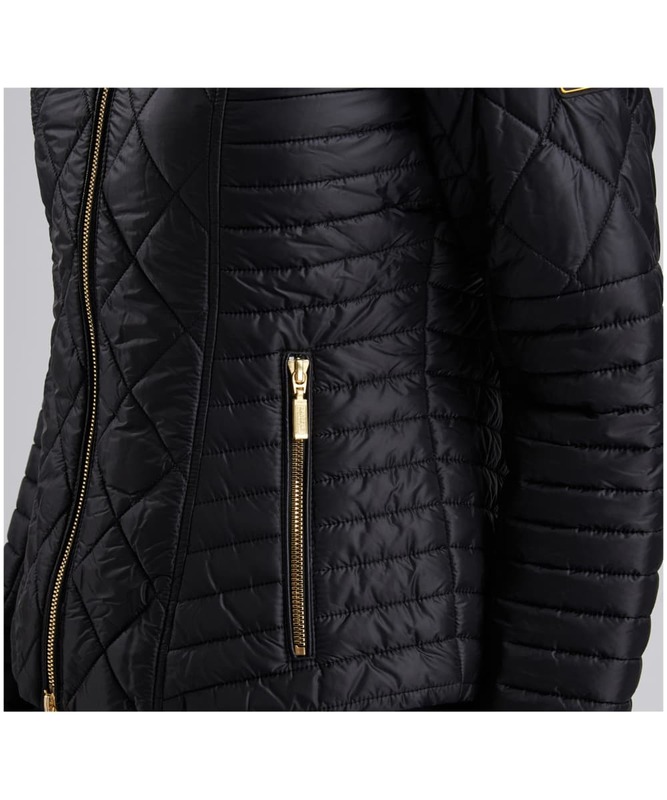 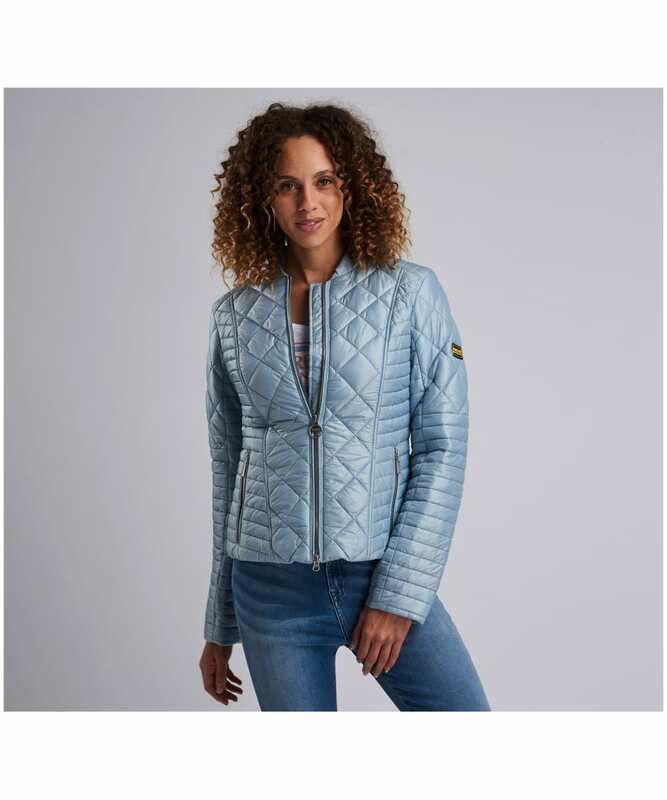 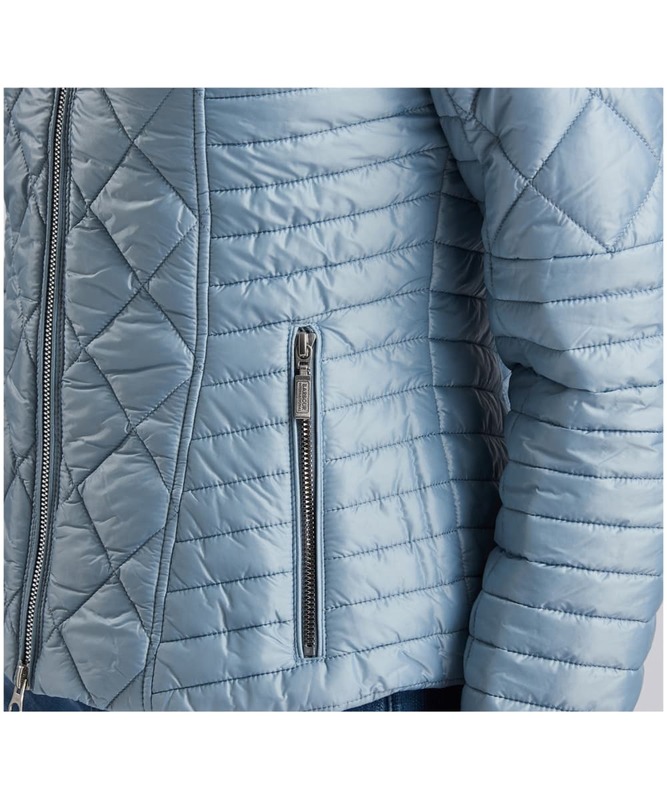 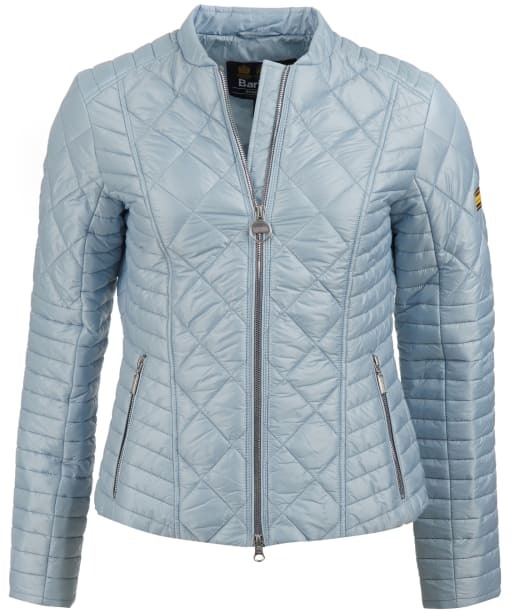 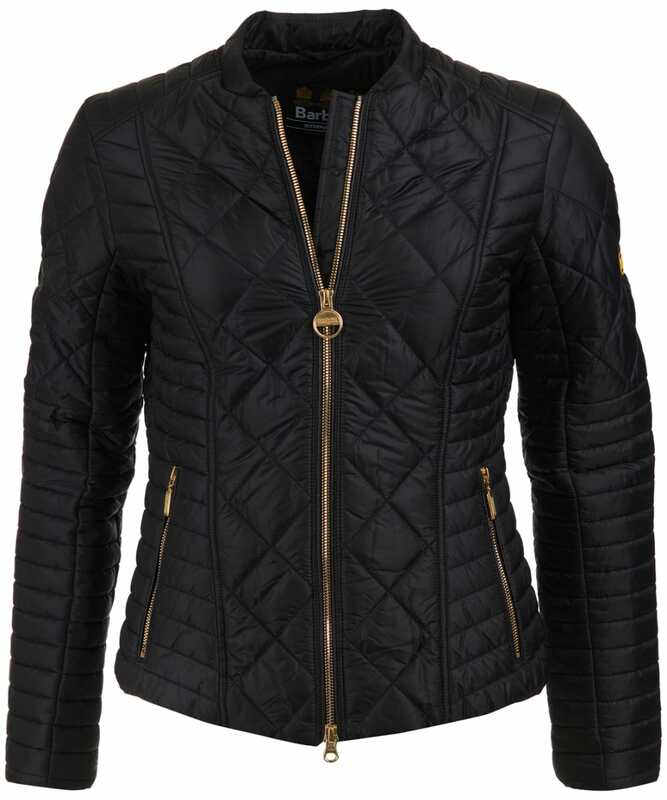 Boasting a diamond quilted body, contrasted with baffle quilting to the side panels and lower sleeves, this jacket is sure to give you a figure flattering look that will keep you on-trend through this season and beyond. 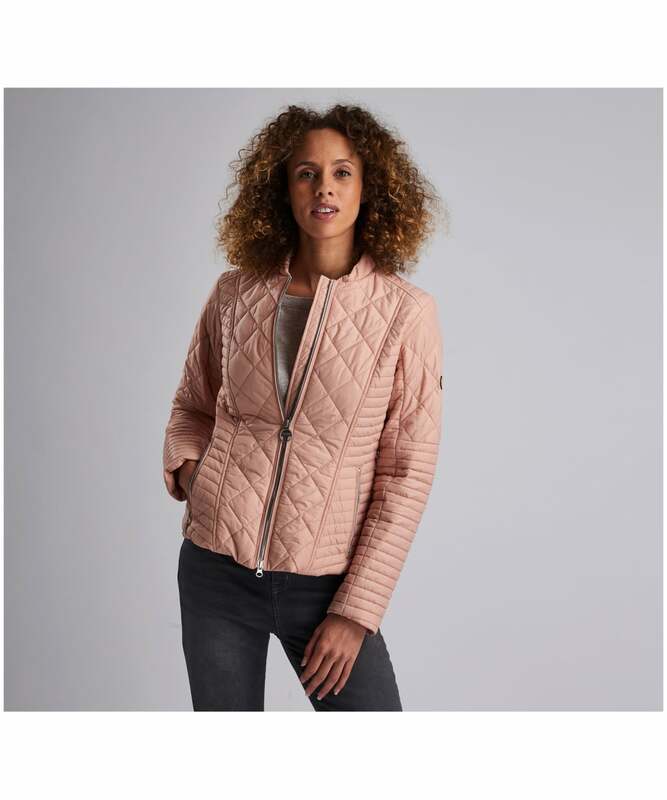 Perfect for pairing with your favourite Barbour International jeans, tee and boots to complete your everyday, chic attire with ease, the Sprinter is a wardrobe essential for any stylish lady. 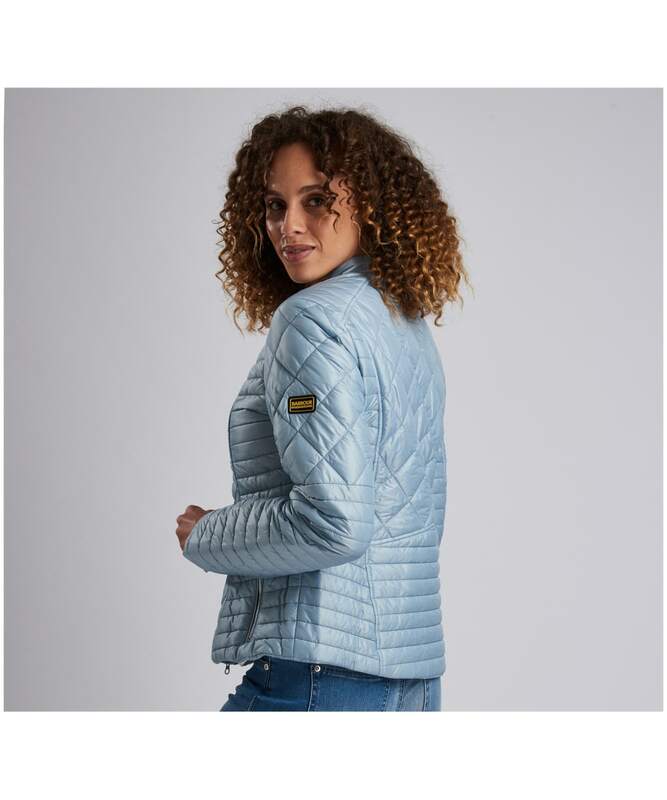 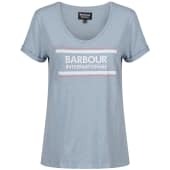 Whether you are heading into the town or country, this fashion forward piece has two front pockets with exposed zips for that added touch signature detailing, as well as providing the ideal place to store your personal essentials whilst you are out and about. 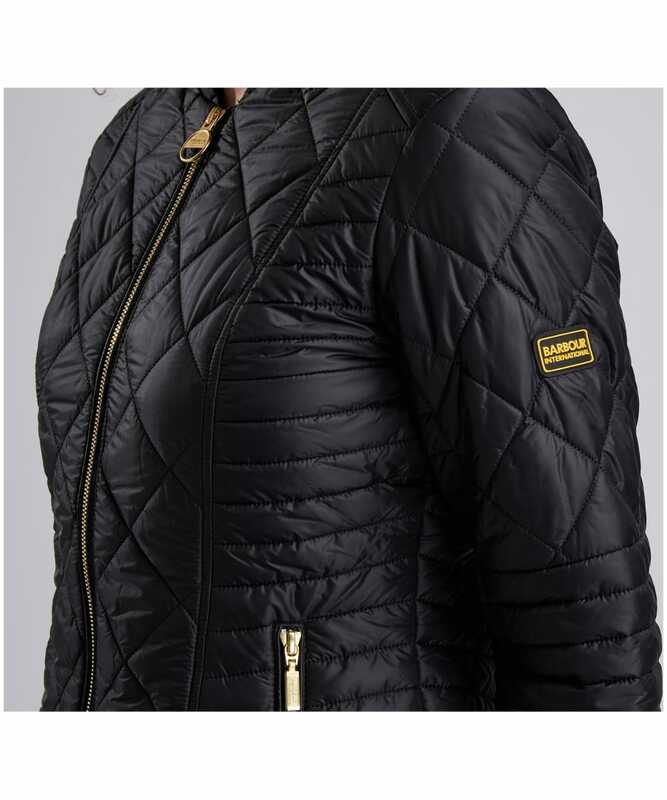 This quilted jacket is finished with Barbour International branding for that added mark of quality excellence.